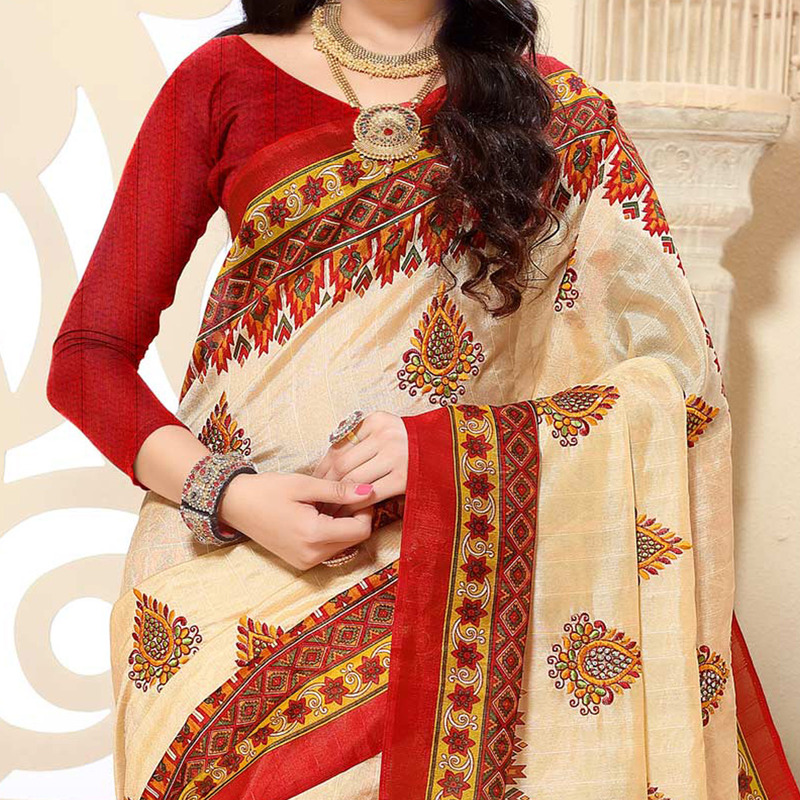 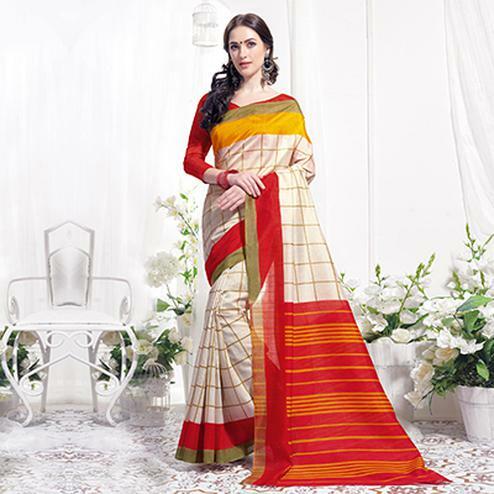 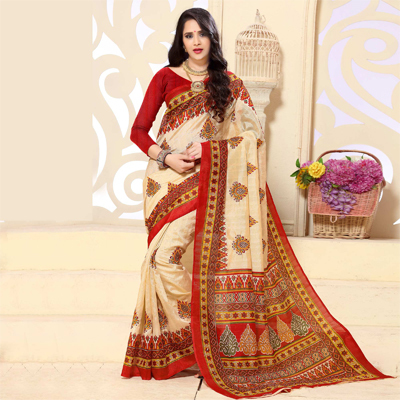 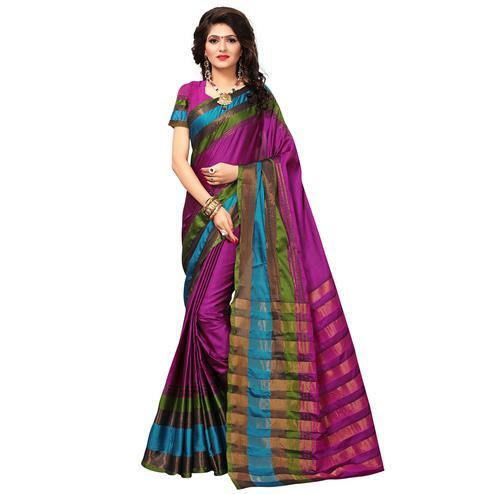 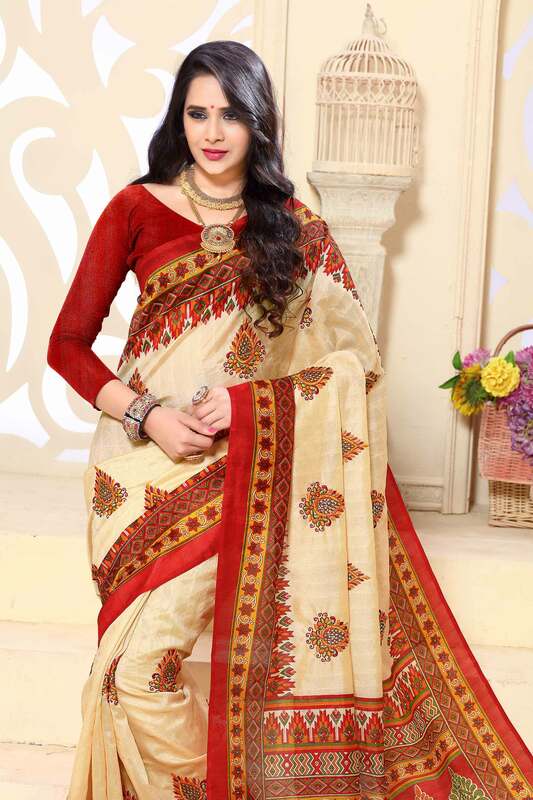 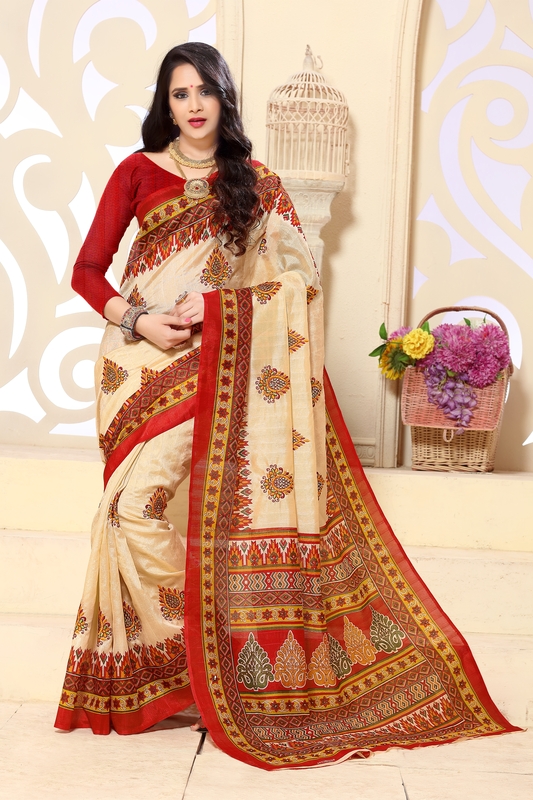 Attend your important traditional functions wearing this beige - red color bhagalpuri silk saree. 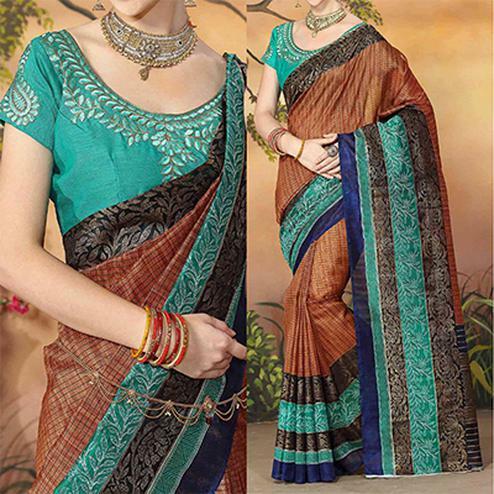 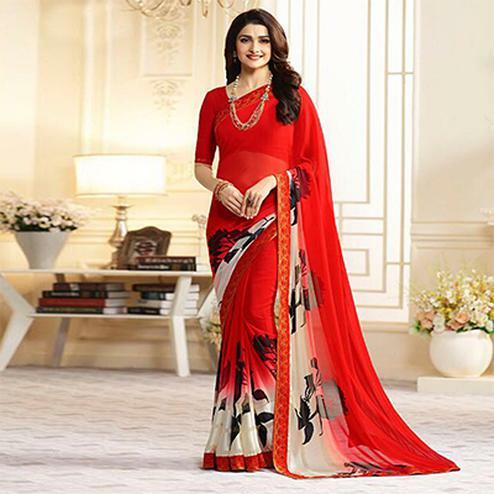 This saree has got floral embroidered work motif's at the body and traditional design print work at lower pallu and solid color at border. 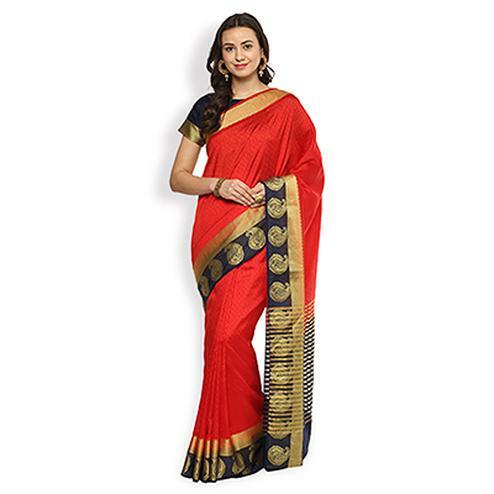 Saree paired with red bhagalpuri silk fabric unstitched blouse piece.